We're getting this error every time we try to change something like a simple font size change: Unable to save the template. PLEASE HELP! Yes, also for me It works now! Seems to be fixed now - Changed browser several times, and cleared cache several times. 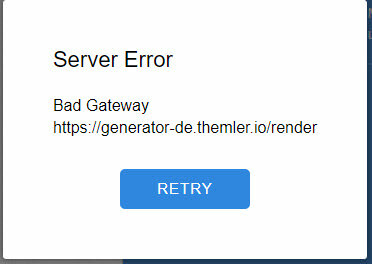 > Same with me - cannot publish or save... - Server Error - Bad Gateway - httpd://generator-de.themler.io/render > This is very annoying Seems to be fixed now - Changed browser several times, and cleared cache several times. Now running on Chrome. "Server is unavailable" and retry looping same here... I guess that is some global issue. Is there a possibility it is going to be fixed today ? 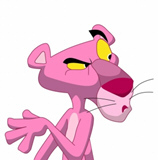 We are sorry for the issue, our developers are working at fixing it ASAP.